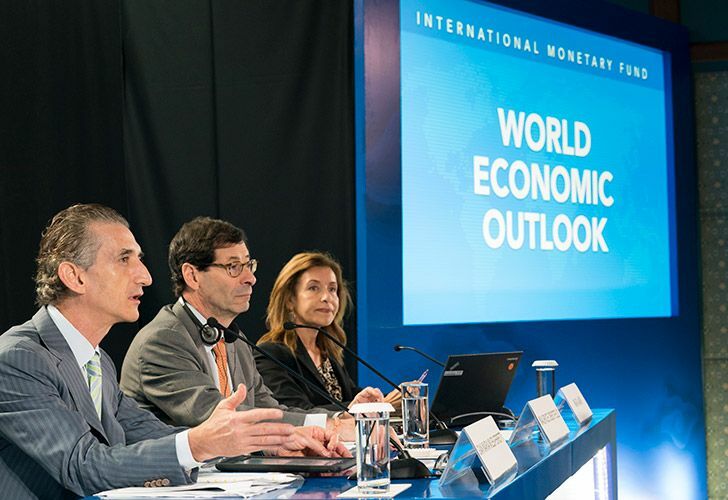 IMF economists predict Argentina's economy will contract by 2.6% in 2018 and by 1.6% in 2019. Argentina recently finalised a deal with the IMF worth US$57.1 billion in order to stabilise its own economy, which is expected to contract by as much as 2.6 percent this year. The IMF downgraded its economic growth projections for Latin America in 2018 and 2019 by 0.4 percentage points on Monday and left them at 1.2 percent and 2.2 percent respectively. For Argentina, the IMF projected a contraction of 2.6 percent for 2018 and 1.6 percent for 2019. The IMF warns that risks highlighted in previous reports "have become more pronounced or have partially materialised" in the real world. That includes US President Donald Trump's imposition of tariffs on US$250 billion in Chinese goods, as well as on aluminum, steel and other products worldwide. When the world's two biggest economies – the US and China – are "at odds", that is going to create "a situation where everyone is going to suffer", Obstfeld said. 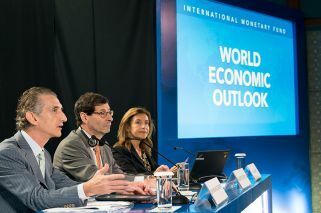 But the outgoing chief economist – who retires from the Fund later this year – added that it was a "mixed picture" with some Latin American and African nations getting growth forecast upgrades. The IMF outlook already projects global growth will slow to 3.6 percent during 2022-2023. The IMF forecasts US GDP growth this year of 2.9 percent, slowing to 2.5 percent in 2019 – which is 0.2 points slower than the July estimate – and to 1.8 percent in 2020. Already the US Federal Reserve interest rates hikes are increasing pressure on emerging market economies by fueling an outflow of capital as investors seek higher returns, while increasing borrowing costs at the same time.